Arriving for the first time at Torishiki’s elegant entrance, you’d be forgiven for thinking you had come to the wrong address. 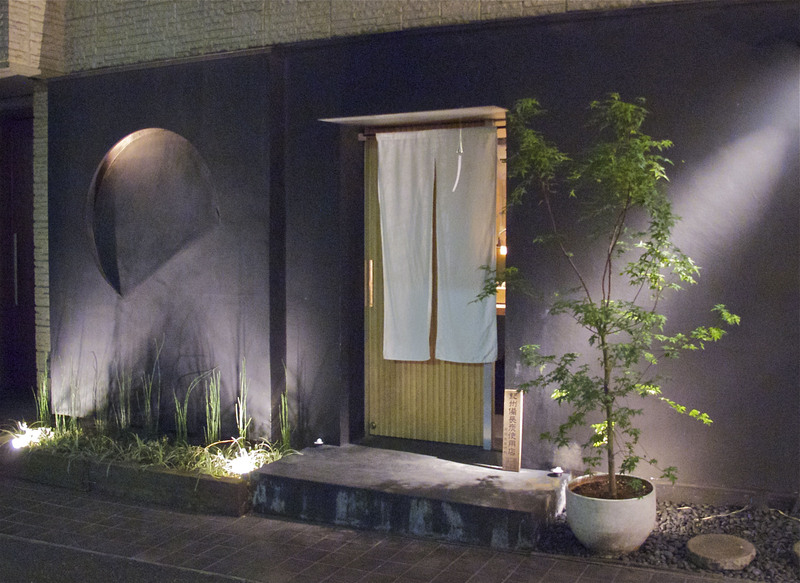 The chic, charcoal-gray facade, artfully illuminated in the dusk; the dwarf maple growing from a ceramic pot; the plain-wood sliding door with its pristine white noren curtain: par for the course for high-end kaiseki or sushi, but for yakitori? Surely not. Why the surprise? In the right hands, the simple act of grilling skewers of chicken over glowing coals of charcoal produces one of the supreme delicacies of Japanese cuisine, well worthy of a such a tasteful setting. Those hands belong to yakitori maestro Yoshiteru Ikegawa. His is the face you see first as you step into Torishiki. He stands center stage at his grill, facing the doorway, barking out greetings in the age-old style. With his hachimaki bandana wound tightly around his close-shaven head, he looks every inch the archetypal shokunin (traditional artisan), save for his natty goatee. The interior is plain and understated. Everyone sits at the single counter that runs along three sides of Ikegawa’s workspace. This, he says, is the way yakitori should be served: directly from the chef to each customer’s plate, just like at a sushi counter or a top tempura house. There is a drinks list but the menu is omakase (leave it all up to the chef; from ¥5,000, depending on how much you eat). 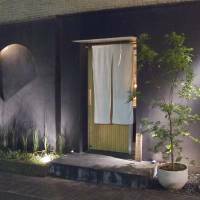 At the outset, Ikegawa will check whether you have any particular preferences or aversions. Then you just sit back and see what he makes. It will all be excellent. The skewers arrive at measured intervals — there can be no hurrying the charcoal — so there is plenty of time to chat, slowly sip on your drinks and watch Ikegawa at work. He tends the grill the way a conductor leads an orchestra. He rarely changes his stance but his hands are constantly on the move, adjusting the skewers and brushing them with oil, sake or his house-special tare basting sauce. He keeps a large white fan stuck in his belt, which he wields to keep the coals at their optimum temperature. And from time to time he hammers a fresh stick of charcoal with a sharp metallic crack that briefly interrupts the buzz of conversation filling the room. The exact order and composition of your meal will never be exactly the same on two separate visits. But here are some of the highlights to look forward to. 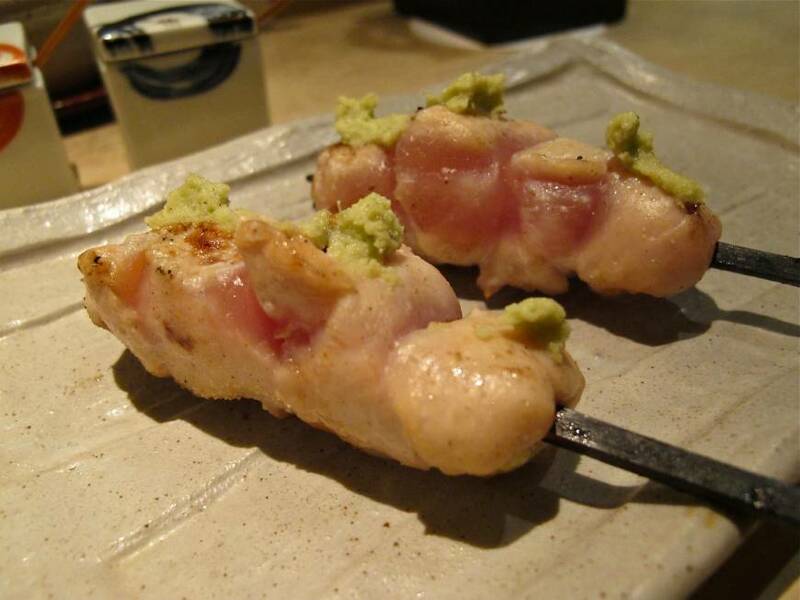 First off, perhaps, a skewer of soft, pale-pink meat, not raw but only cooked very lightly: This is kashira, one of the tastiest cuts of chicken breast. 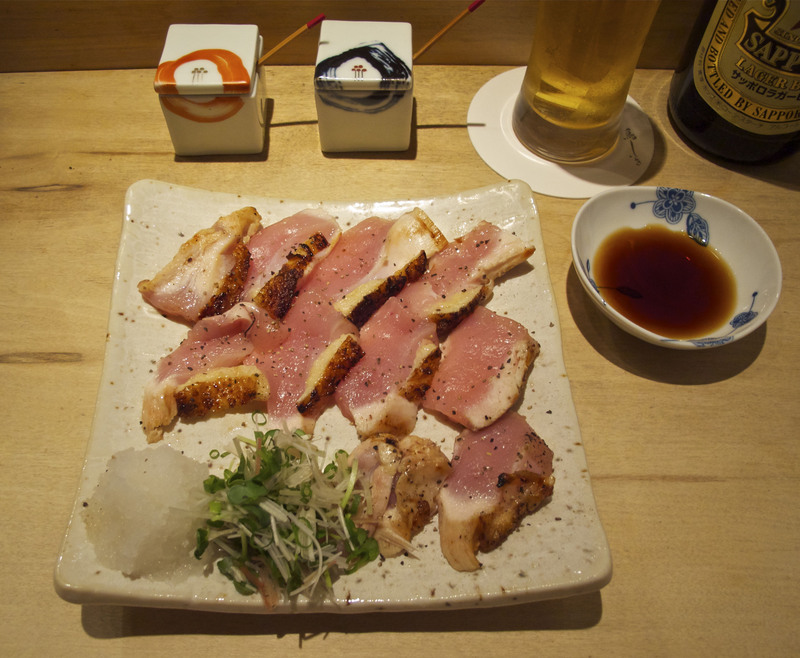 Next, something richer, such as sesseri, fine layers of neck meat; or bonjiri, the fatty part from the tail. And then some small, dark-green, mildly bitter shishito peppers, making a welcome counterpoint on the palate. The rebā (liver) is delectable. Given only the shortest time over the fire, it is still red and rare, soft but firm, full of mineral flavors but none of the sharpness or off-tastes that often mar this meat at lesser yakitoriya. This is testament to the quality of the chicken. It is prime, free-range Date shamo gamecock, sourced direct from the farm in Date-cho, Fukushima Prefecture. It tastes superb, even the so-called lesser cuts, the organ meats and extremities. Ikegawa always offers an interesting selection of vegetables. From late spring there will be zucchini, which he leaves to sweat at low heat for 40 minutes or more and serves still lightly crunchy. In summer he grills short lengths of sweet corn, browned until they taste almost of caramel. Throughout the year he should have delectable small potatoes — put in your request early on, as they too take plenty of time. 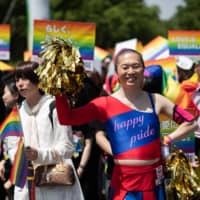 And everyone gets to try the atsu-age, cubes of deep-fried tofu grilled so they’re custardy soft inside, while their golden skins are rich with the flavor of chicken fat. Ultimately, though, you are there for the chicken. What’s remarkable is how much variation Ikegawa coaxes from the meat of a single bird, from the crunchiness of nankotsu (tendon) to the dense texture of sunagimo (gizzard), which here is firm but never gritty. 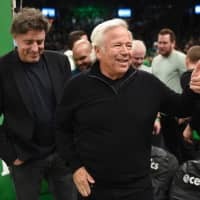 One of his tastiest preparations is to take a large chunk of breast meat — either chicken or duck — which he bastes and browns on the outside and then slices open to reveal the white meat inside. Nor will you go wrong with the tsukune, single-bite balls of ground chicken. The item that stands out most in his repertoire is the one known as chōchin (so named as they evoke traditional globe-shaped lanterns). It is an egg, but taken from the chicken before a shell has formed around it. Cooked on the stick together with a chunk of liver, it is a sublime combination of flavors and textures. This is not an original idea. 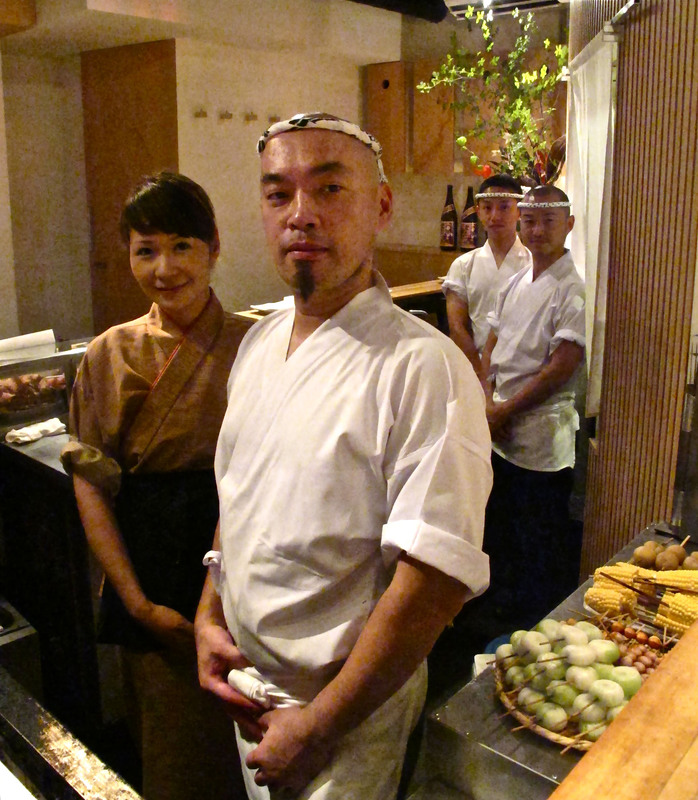 He brought the idea with him from Toriyoshi, the restaurant in Naka-Meguro (not the ubiquitous yakitori chain but the classy independent yakitoriya of the same name) where he trained and worked for seven years before setting up here in 2007. There are many similarities in the size, layout and menus of the two restaurants. But there are also important differences. Excellent as Toriyoshi remains, it pales in comparison with Torishiki, both in flavor and quality of presentation. 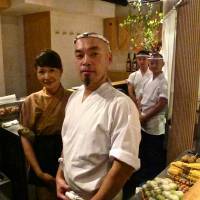 There are many extra touches that elevate the Torishiki experience. From the first dish, always a saucer of home-made pickles, to the soboro donburi (minced chicken rice bowl) and chicken broth with which most people wrap up their meals, everything is served with grace, finesse and humility, often by Ikegawa’s kimono-clad wife, Minako. This attention to detail inevitably translates into a rather higher bill at the end of the evening. But not as much as you might expect from the setting — unless you pick out one of the pricier bottles from the bottom of the wine list. 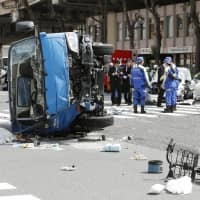 The other crucial difference is that Torishiki is notoriously hard to book. Reservations are taken from the first of the month for the following two months and they go fast. 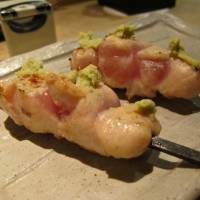 No surprise there at all: This is some of the finest yakitori in town. Premium chicken prepared by a yakitori maestro. It's very hard to snare reservations. Beer from ¥500; sake from ¥500; sh&#333;ch&#363; from ¥500/glass; wine from ¥700/glass, ¥3,500/bottle. Tue.-Sun., 6-11 p.m.; closed Mon. and holidays. From JR Meguro Station (East Exit), cross the rotary, walk along Meguro-dori (in the direction of Shirokanedai) and take the first small side street on the left. 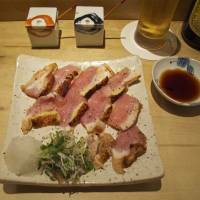 Torishiki is on the right after about 30 meters, just next to fish-specialist izakaya Marutomi Suisan.